This February, Manchebo Beach Resort honors Mrs. Dilia Rasmijn for her 40 years of service and dedication (who can fill these shoes, nowadays?). 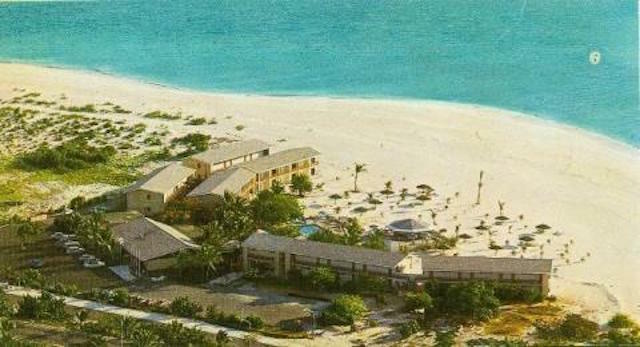 With the resort’s 50th anniversary celebration in the offing (December! 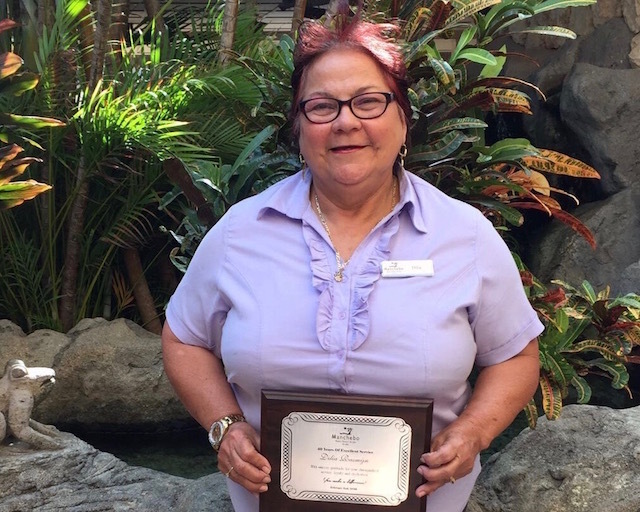 ), we can do our math: Mrs. Rasmijn is one of the few employees who’s been on Aruba’s hospitality bandwagon almost from the very beginning. Together with former owner and pioneer hotelier, the late Mr. Ike Cohen and his daughter Ree, Mrs. Rasmijn looks back at a most pleasant time, starting out in the F&B Purchasing Department in 1976. Before she landed her current position as a Front Desk Operator and Clerk, she was building her strength and gaining her knowledge as Store Room Clerk, Assistant Cost Controller, an All-In-One Woman Force, doing heavy manual work with lower wages and no computers to reduce the workload. “It was hard work back then, but we had a wonderful team, we loved our job. Helping one another was very important. We were like family,” according to Mrs. Rasmijn. She remembers helping her colleagues at The French Steakhouse by peeling shrimps and washing dishes if a sudden flow of unexpected guests would arrive. I stepped into my car with a feeling of strong admiration and appreciation for all the hardworking, caring, generous souls who keep this island’s big heart beating; our Aruban people. Congratulations on 40 years at Manchebo Beach Resort & Spa, Señora Dilia, and masha danki for this lovely interview! It was a true pleasure meeting you.